Danforth often engages with clients by means of an Energy Performance Contract. Energy Performance Contracts (EPCs) are an alternative financing mechanism designed to accelerate investment in cost-effective energy conservation measures in existing buildings. 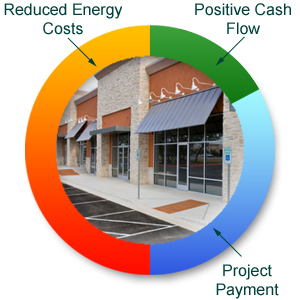 EPCs allow building owners to accomplish energy savings projects with little or no initial capital costs. An EPC is a partnership between a building owner and an Energy Service Company (ESCO). The ESCO conducts a comprehensive energy audit for the facility and identifies improvements to save energy. In consultation with the client, the ESCO designs and implements facilities improvements that meet the client’s needs, and arranges the necessary financing. The ESCO guarantees that the improvements will generate energy cost savings sufficient to pay for the project over the term of the contract. 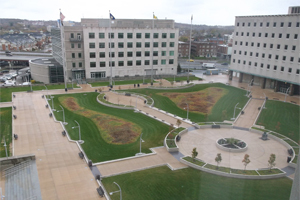 After the contract ends, all additional cost savings accrue to the agency. Danforth is a full service Energy Service Company (ESCO) providing a range of services that include Facility Benchmarking, Feasibility Studies, Design-Build Projects and Energy Performance Contracts. Each client has unique needs when it comes to its energy infrastructure. Danforth’s refines its approach to address our client’s needs and this is unique in the energy services market because we are not selling a particular product or service. Instead, we are providing a solution that helps our clients resolve their infrastructure problems. Take a look at some of our Energy Performance Contract Case Studies to learn more. Start Your Energy Performance Contract with Danforth. Meet with one of our Energy Performance Contracting consultants. We’ll outline our process and begin your project estimate. Need More information? Send us a quick message and we’ll reach out to you to help plan your next Energy Performance project. Get answers about our Energy Performance Contracting services and speak with a knowledgeable Energy Performance Contracting Expert.